A year after she dominated the Ardennes, Anna van der Breggen is winning classics again. The Tour of Flanders is one of the most prestigious events in pro cycling. Winning it puts you in the history books with cycling royalty — among Merckx, Cancellara, and Boonen for the men; Cooke, Arndt, and Vos for the women. Many riders spend their entire careers dreaming of victory at Flanders. Not Anna van der Breggen. Prior to her victory at the 2018 Ronde, Van der Breggen did not worship the cobbled classic the way other riders often do. 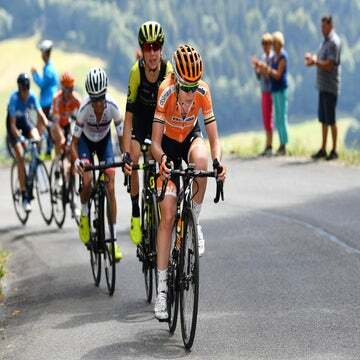 Van der Breggen attacked with 24 kilometers remaining in the 159-kilometer race after the peloton had weathered a series of attacks and crashes. She powered away from the group prior to the final ascent of the Oude Kwaremont and Paterberg on a seemingly innocuous stretch of pavement. It was the perfect moment to put in a hard dig, and van der Breggen knew it. In fact, she chose the spot during her pre-race reconnaissance. Van der Breggen’s winning move came a year after she had attacked and then held back on that same stretch of road. During the 2017 Tour of Flanders, van der Breggen broke away alongside two other riders, until she was told to stop working by team director Danny Stam, who believed the squad’s sprinter, Chantal Blaak, had a better chance to win. The gamble did not pay off. Van der Breggen and her breakaway companions were caught just meters from the line, and Sunweb’s Coryn Rivera won the sprint ahead of Blaak. Boels-Dolmans did not want to make the same mistake again and instead adopted an attacking style. THE LONG SOLO BREAKAWAY has become van der Breggen’s signature move at one-day races. She has won La Flèche-Wallonne four consecutive times by climbing to the top of the Mur de Huy alone. In 2017 van der Breggen won the Ardennes triple crown — Amstel Gold Race, Flèche Wallone, and Liège-Bastogne-Liège — all in solo fashion. When she kicked off the 2018 Women’s WorldTour with another solo victory at Strade Bianche, she solidified her spot as women’s cycling’s greatest escape artist. Van der Breggen says the individual moves are out of necessity. Van der Breggen does not train specifically for breakaways — instead she simply puts in long miles in the winter and then prepares for time trials. And while victory may seem like an inevitability when she attacks, van der Breggen believes the moves are quite risky. Van der Breggen’s efforts are also helped by the strength of her team. Boels-Dolmans often has multiple riders in the chase group, including fast finishers such as Blaak and Amy Pieters. 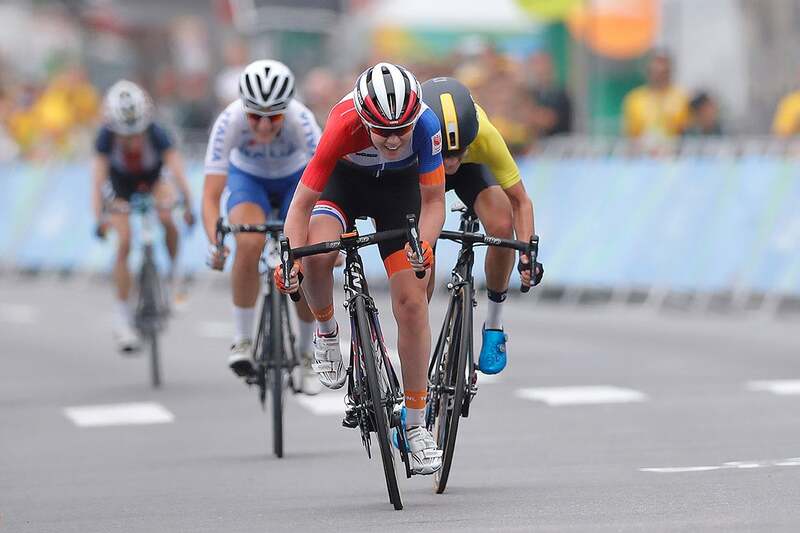 So while the solo breakaways may create the perception that she is simply strongest, van der Breggen says that’s not the case. EYEBROWS RAISED WHEN van der Breggen signed with Boels for the 2017 season after her Olympic road race victory. Her alignment with the world’s top team meant she risked being overshadowed — something that happened during her three seasons alongside countrywoman Marianne Vos. Van der Breggen said she actually chose Boels-Dolmans because of the team’s depth. Strength in numbers is the Boels-Dolmans way. After van der Breggen won Flanders, Pieters easily sprinted to second place. To date, the team had won half of the first 12 Women’s WorldTour races. At the Healthy Aging Tour, Boels riders finished first through fourth. Van der Breggen downplayed the team’s dominance. They must fight for every victory — wins do not come easy. She pointed to Canyon-SRAM as a worthy rival that has made strides this season. “I think the fight for the win is just as hard as last year,” she said. Hans Timmermans, sport director of Team Sunweb, believes Boels-Dolmans is beatable — but teams must be willing to attack. Timmermans said other teams must put pressure on Boels-Dolmans in the races and not let the team simply dictate the tactics. The peloton’s other teams — Sunweb, Canyon-SRAM, Mitchelton-Scott, and others — are on the same level, he said. Still, Timmermans acknowledged that Van der Breggen gives Boels-Dolmans a major edge during the races. “They have been strong for years, of course, but it’s Anna van der Breggen specifically who’s far above the rest,” Timmermans said. Canyon-SRAM director Ronny Lauke said he considers Boels-Dolmans’s strong start a challenge. While Boels-Dolmans may look dominant, there are opportunities for other teams to win. WHILE OTHER TEAMS ARE looking for ways to stop van der Breggen and her Boels-Dolmans squad from winning, the Dutch woman herself is looking at what’s left for her to win. 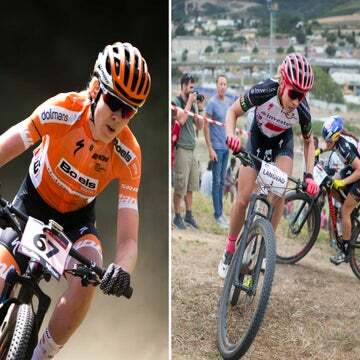 She has already won the Giro Rosa twice, the Ardennes races multiple times, the Tour of Flanders, and the Amgen Tour of California, among other events. Yet there are races that have, thus far, eluded her grip. Van der Breggen has never won the elite women’s world championship road race or the Dutch elite road title. Both holes in her resume speak to the overwhelming strength of Dutch women’s racing. Among van der Breggen’s countrywomen are Vos, Blaak, Pieters, and Annemiek van Vleuten, the reigning world time trial champion. 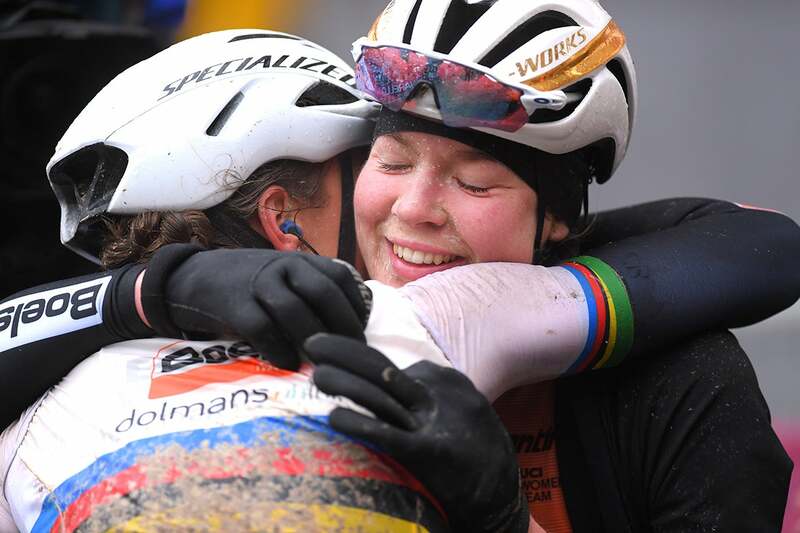 Van der Breggen said that winning the world and national titles are on her list — she watched her countrywoman and teammate Blaak don the rainbow stripes last year.